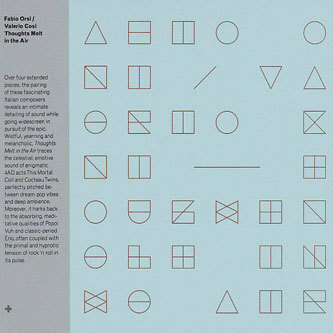 Italian experimentalists Fabio Orsi and Valerio Cosi are a prolific pair, both commanding extensive, very highly regarded solo discographies that between them take in elements of blissful micro-drone, free-jazz and avant-garde contemporary composition. This new collaboration between the two musicians arrives on the evergreen Australian imprint Preservation, and opens with a healthy blast of palate-cleansing, dreamstate sustain, initially from Cosi's sax (stretched out endlessly thanks to some impressive breath control) and soon after by a flood of rich harmonium-like tones. As this first piece progresses vocals arrive, spluttering out distorted exclamations while drums clatter mutedly in the background. Thanks to clever production and balanced performances it never goes all-out weird though, and the presiding drone elements uphold a sense of orderly restraint. On the next piece we're met with a barrage of glimmering electronic tones, eventually embracing an almost krautrock-like 4/4 beat before devolving into wild improv drumming. The second half of the four-track (but fifty minute) disc provides the most subtle, and probably most successful piece here. This third composition takes on filtered ambience through its early stages, blending together luscious pastoral tones before warm basstones arrive towards the end, paving the way for coarsely bowed strings. 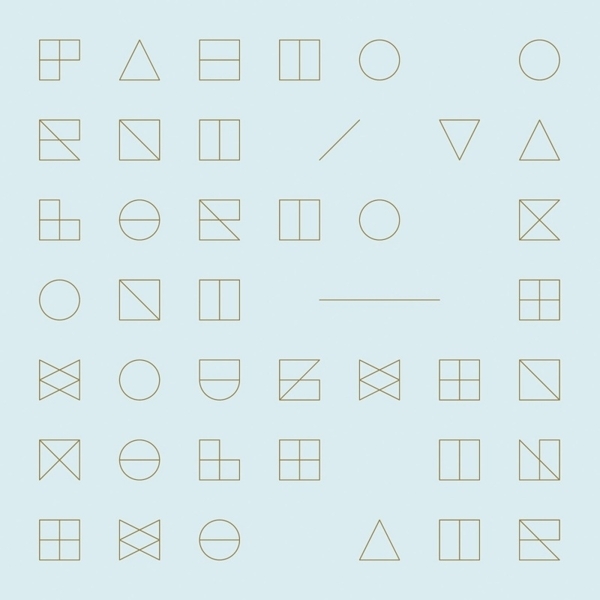 This all comes together as a winning formula providing plenty of depth and texture, nicely balancing easy going ambience with more exploratory improvisational impulses. Finally, the fourth piece lays down a bed of shimmering, somehow fast-moving high frequency tones while carefully EQed instrumentation jostles just low enough in the mix so as not to penetrate the surface. This last half hour or so of the album really sticks in the mind, distinguishing Thoughts Melt In The Air as a thoughtful and subtle body of work.